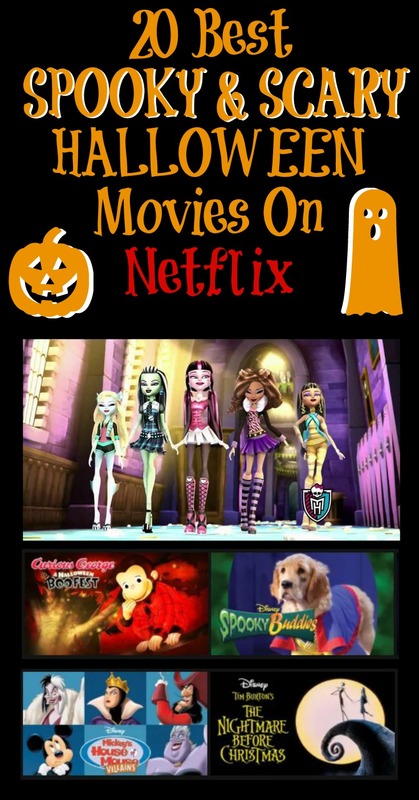 These Halloween movies on Netflix for kids are great to watch during the Fall, Halloween, or any time of year. No matter your plans for Halloween, there’s something on Netflix for you. Kiddies at home? Check out one of my G, Y, Y-7, or PG-13 picks (depending on your kids’ ages and your discretion). 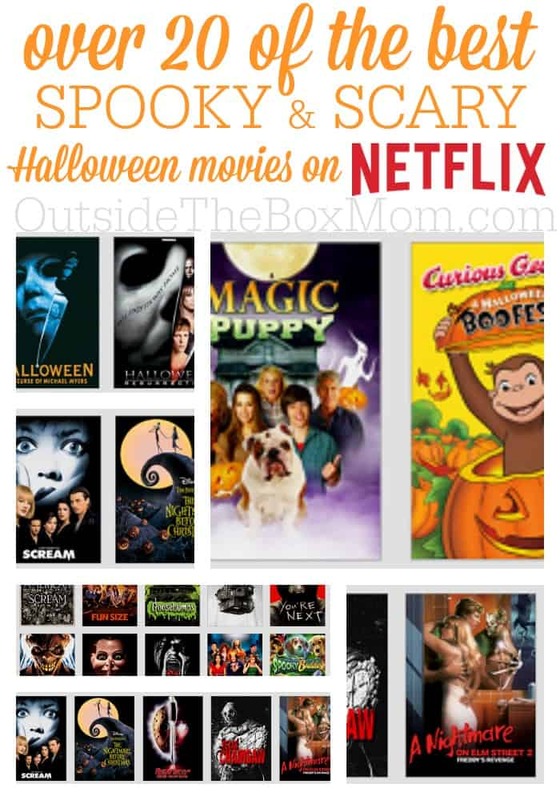 If the kids are out and about and you’re looking for a fun way to snuggle up with your honey, check out of my R, NR, or unrated picks for Halloween Movies on Netflix tonight. Corpse Bride (PG) – Victor and Victoria’s families have arranged their marriage. Though they like each other, Victor is nervous about the ceremony. While he’s in a forest practicing his lines for the wedding, a tree branch becomes a hand that drags him to the land of the dead. Magic Puppy (TV-G) – Molly decides to plan a surprise for her best friend, Adam. She casts a magic spell, but it goes awry and turns his mother’s boyfriend into a dog. A Monster in Paris (PG) – Emile and Raoul join forces with a singer and an eccentric scientist and his monkey to save a misunderstood monster from the city’s police chief. Vampire Dog (TV-PG) – Ace’s new pal is cute, cuddly, and 600 years old. So naturally, he tends to attract some real oddballs. Curious George: A Halloween Boofest (TV-G) – Hang on to your hats and get ready for a spook-tacular good time, with Curious George. Autumn is here, bringing colorful leaves, hay rides, pumpkin patches, and the annual Boo Festival. Barney’s Halloween Party (TV-Y) – With Halloween right around the corner, Barney decides to decorate the school gym for a party, and Baby Bop and BJ try to find the perfect costume. Scream (R) – Horror maven Wes Craven turns the genre on its head with this tale of a murderer who terrorizes a hapless high schooler by offing everyone she knows. The American Scream (NR) – Each year, in the sleepy town of Fairhaven, the creative minds behind three local homemade haunts valiantly try to ignite the town’s Halloween spirit. Fun Size (PG-13) – When feisty teenager Wren loses her offbeat kid brother on Halloween, she joins forces with her best buds to find him during one crazy night. Also, be sure to check out this Ultimate Horror Movie Calendar to count down to Halloween. And if you don’t have a Netflix subscription, you can watch these Halloween movies for kids. 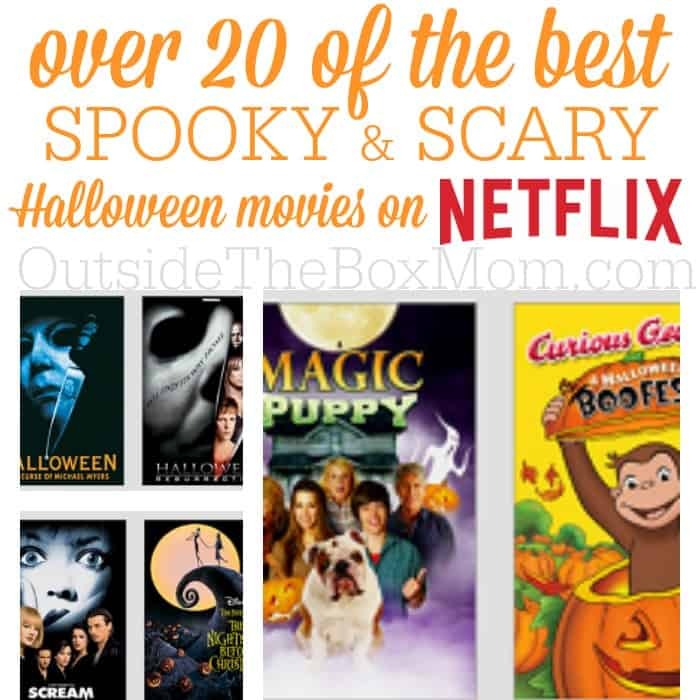 Are your favorite Halloween movies on Netflix for kids on this list?